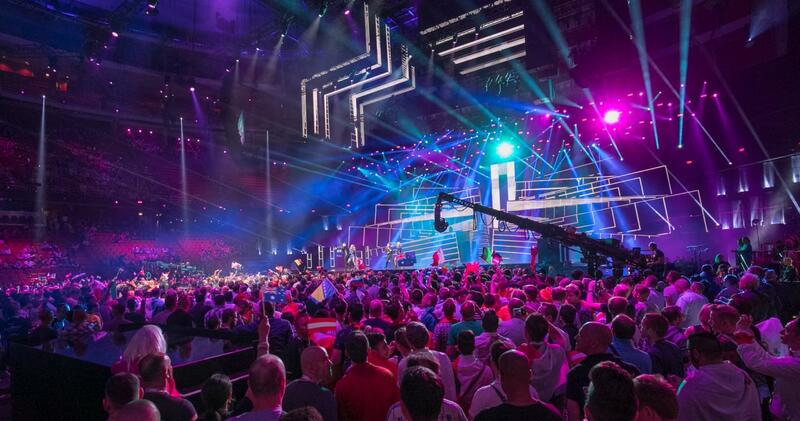 Back in 2008, our digital agency Scrn was asked to take care of online accreditation at the largest music competition ánd one of the most advanced TV productions in the world: the Eurovision Song Contest. We looked around; there was Excel and there were multi-million euro/dollar systems built by large IT companies. And in between, there were all sorts of solutions that just didn’t fit their needs. So, we built a custom accreditation system, which over the years grew to become one of the fundamental pillars of the event’s organisation, the European Broadcasing Union (EBU). Based on years of fine-tuning and countless lessons learned, we completely rebuilt the platform in 2017. A year later, we launched Accredion — and now we are ready to share it with fellow event organisers around the world. But meanwhile, the Eurovision Family of Events, and in particular the Eurovision Song Contest, remains its biggest and most prestigious user. How do they use Accredion? Accreditation is one of the fundamental ingredients of the contest’s security concept. To get access to the event premises, an accreditation badge is a must-have — no exception. Months before the live shows, that traditionally take place in May, crew, volunteers, delegates, press and fans start applying for accreditation. All together, eventually some 10,000 people receive accreditation to the event. Every one of them has been reviewed at least twice, both by the Head of Delegation of their respective country (in case of delegates, press and fans) or by the Head of Department (in case of crew) and by the organiser. It’s a meticulous process, to which Accredion’s accreditation module aims to provide a flawless tool. In addition to the core of Accredion, which is all about accreditation, the EBU will be using the Accredion PLUS suite of intranet-style features; file exchange (Accredion Files), the newsletter module (Accredion Newsletter) and an advanced data collection tool called Accredion Forms. With the latter, the organisers can collect all relevant data from the participating acts necessary to produce what is most certainly one of the most complex television productions in the world. From artist biographies to dietary requirements and from master sound tracks to directing suggestions for the production crew — it will all being gathered and distributed via the suite of Accredion PLUS features. The 2018 Eurovision Song Contest in Lisbon will be Accredion’s first live event. “While exciting for everyone involved, we do rely on a decade worth of experience with Accredion’s predecessor. So, we are convinced of a smooth operation. But as every year, we will learn new lessons, which we will use to make Accredion even better,” says Sietse Bakker, CEO of Scrn, the agency behind Accredion. We would like to take this opportunity to thank the EBU for their confidence in Accredion and our team. In particular, we would like to thank Andreas Schmitz, the EBU’s Accreditation Manager for the Eurovision Song Contest, for his continued support and valuable input while we developed and tested Accredion. Lisbon — here we come!